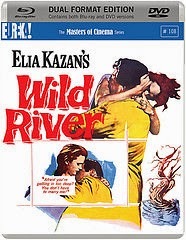 Elia Kazan's masterful Wild River is, as his lead character Chuck Glover (Montgomery Clift) often tells us, about the sort of societal issues that fall 'under the general heading of progress'. A sumptuous looking film, Kazan hits the trifecta of film-making; a satisfying story, loosely following a romance between Chuck and Carol (Lee Remick); a comment on things that matter, here everything from racial tension to national government's impact on local communities; and visuals that pop off the screen in wonderful CinemaScope. Wild River is everything that you could want for its duration and then a think-piece magnet in the post-viewing shakedown. Kazan starts with Chuck's arrival in Garthville where he is set the task of moving Carol's grandmother, Ella (Jo Van Fleet), off her land so that a new dam can flood the area and protect thousands of other homes. 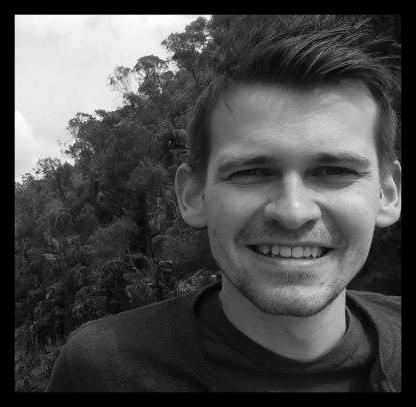 On arriving on Ella's island, a peopled microcosm, he encounters a somewhat idealised kingdom where, in stark contrast to the town, black and white are getting along if not progressively then at least on a level of harmony. Chuck's 'progress' has come to end that situation, a fact that does not pass him by. The tensions are set. Kazan's skill though extends beyond just observing the mess of immovable objects and unstoppable forces meeting in Garthville, though, when you look closely at the film, there are more of those there than just Ella and Chuck. Kazan complicates things mainly by making Chuck likeable, rational and understanding. He is not 'the man from the government' (characters who are glimpsed on the other end of a phone line), rather he overtly applauds Ella's work ethic and success but nevertheless must do his duty and get her off her land. Ella too is not just an old woman stubbornly holding out. In a bravura scene, Van Fleet, playing much older than she was at the time to great effect, seems to show off her power by trying to wrestle Sam's (Robert Earl Jones) dog from his ownership. What she is actually doing, and how the scene is played by Kazan, gives you pause for thought in many subsequent meetings between her and Chuck. In a minor lesson in micro economics, Chuck finally begins to make headway on moving Ella by offering her black workforce the jobs and housing the local community will not. Again, Kazan tackles an issue - here race relations - in more ways than one. A lesser film would just contrast the town with Ella's island but instead the director emphasises the fluidity of the situation. A good change in the treatment of individuals is not necessarily good for the whole or, in this case, Ella's idealised kingdom. Whilst all that is happening perhaps the Carol and Chuck love story is the most redundant, and predictable, part of the film, but Kazan tells it with such authority and Clift in particular commits to a depiction of a love-filled affair with such force, that it, like the rest of the film, is difficult to critique, or draw your eyes away from. Masters of Cinema release a lot of great films, as any devotees will doubtless be aware of. This is not only another outstanding release, but actually one of the very best.